When we first need to switch to maternity clothes, it’s adorable. Oh my goodness, look at that tiny baby bump. I have a baby bump! This is amazing. There is a tiny human growing inside me. I shall dress this bump in flowing tops and leggings. By the time the third trimester rolls around, the weeks of elastic waistbands and sensible shoes have started to take their toll. And while the thought of the tiny human growing inside is still pretty astonishing, there’s the fact that nothing fits. Not. Even. Pajamas. It’s okay, though. No need to worry. There are some simple steps to preparing to go out in public in the third trimester. Pick out that adorable maternity skirt you ordered online. You know the one. It’s probably a maxi skirt. Put on the skirt and realize what it feels like when your thighs touch. Remember that it’s spring, or summer, or that you’ll have to walk, or stand, or sit, or be awake. Realize that no matter what you’ll be doing, you’ll be sweating. Pull out all of the pants in your closet until you find a clean pair of jeans that also fits. Put on the pants. Sigh with relief that your thighs no longer feel so...touchy. Next, a shirt. Start with a maternity tank, because those babies make it possible to wear a “regular” shirt. You’ll look like you’re layering. Yup. 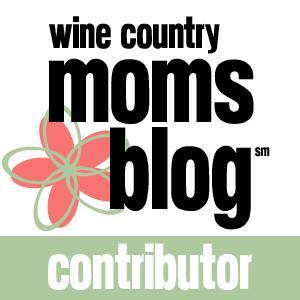 Pull on a non-maternity shirt. It’ll be short, but the maternity tank makes up the difference. Look in the mirror. Realize that, no, in fact, the maternity tank does not make up for the difference. Accept it. You’re pregnant. Like, really pregnant. You can’t wear non-maternity shirts, anymore. Scramble to find a clean maternity shirt that also vaguely looks reasonably nice. Pull it on. Accessorize with a chunky necklace. At least your necklaces still fit. Shove your feet into shoes that don’t require buckling, or lacing. Brush your hair and thank the pregnancy gods for your thick, lustrous hair (forget the fact that this will all fall out in a few months), and go out into the world. Bonus steps: Brace yourself for comments about how small, large, lopsided, or tired you seem. Prepare your response to statements such as, “You better get sleep while you can.” Hitch up your elastic pants, flip your gorgeous hair, straighten your shoulders, and keep moving. 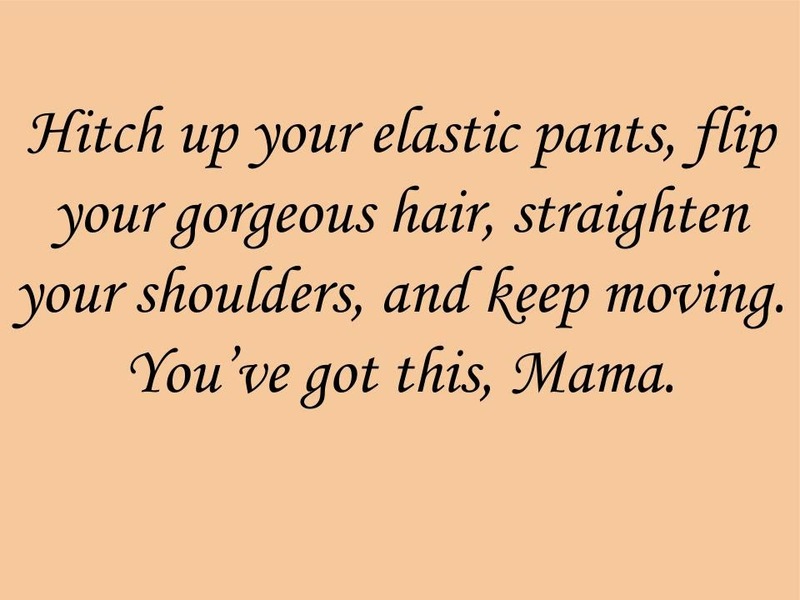 You’ve got this, Mama.